Welcome to our Resource Area. Please take a moment to browse through the many Books, Brochures, and CDs that are sure to promote personal growth, renew, revive, restore, build and strengthen individuals, local churches and leadership teams. Embracing Prophetic Intercession brings years of Holloway’s prayer coaching wisdom to the forefront offering biblical principles for mature prophets and intercessors who operate in love, function in responsibilities and carrying a lifestyle rooted in love which is the heart of the prophet. This inspiring book will help prophet’s, intercessors, prayer warriors, and leaders to readjust their thinking, actions and relationship when ministering to God’s people. The true authority of a prophet and intercessor is how to operate in the spirit of love. Embracing Prophetic Intercession will help you discover the weapons of intercession, the "still small voice within", and the hindrances to hearing God speak. In this wake-up call to take charge—the church, the ecclesia, the called-out ones—are ordered from the courts of Heaven, to take the limits off and move in the supernatural as God desires to change the spiritual climate and heal our cities, regions, and nations through prayer, intercession, decrees, declarations, consecration, and fasting as we travel the world on our knees. “Guarding City, State and National Gates Through Prayer,” teaches and encourages you how to pray and intercede for leaders as well as protect and safeguard those you love. This book is based on Biblical principles and Guidelines to MAXIMIZE your prayer experiences as you reposition yourself for Kingdom mandates. Mankind has been fascinated with the subject of life after death for many years, and this fascination has given rise to questions such as: Is there really life after death? What happens when we die? Are we allowed contact with dead loved ones? Once we die can we return to earth for a second life? All these thought-provoking questions are answered in a very practical way. 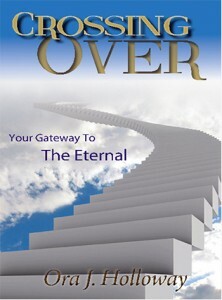 Crossing Over: Your Gateway To The Eternal is a fascinating tangible book that offers a glimpse into a very real dimension of reality. This spiritually inspiring book is about spiritual preparation and includes detailed descriptions of life beyond earth and what to expect after the crossover. Crossing Over: Your Gateway To The Eternal is for seekers of truth, for those who are curious about the other side, and those who wish to rethink their life choices. After reading this book you will never view life the same. IS THERE LIFE AFTER DEATH, OR IS IT ALL A HOAX. YOU DECIDE! If loved ones can return from the dead. Does God still speak today? If so, can he speak to me? THE ANSWER TO BOTH QUESTIONS IS YES! God speaks once, twice, yet no one notices. In dreams and visions of the night when sound sleep falls on men, while they slumber in their beds, then He opens their ears and seals instruction. 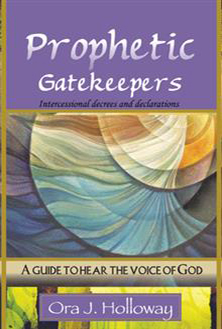 Prophetic Gatekeepers: Intercessional Decrees and Declarations gives insight and guidance in identifying God’s own language. Other topics discussed are: A prophet calling and election, knowing your prophetic gift, decrees for marriages, family, relationships, healings, finances, purpose and assignments. 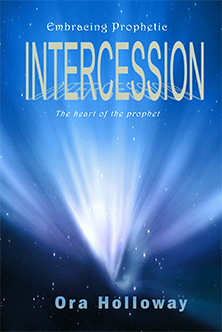 If you are a prayer warrior or intercessor looking to understand who you are and advance your knowledge of prophetic intercession this is an effective lesson guide for any teacher and self starter. This easy to follow book is biblical based and practical. God’s language for speaking to individuals. What is an audible? Is there a secret to hearing the voice of God? How God uses visions, dreams, nudging, promptings, symbolic, angels and signs to get your attention. How to decree and declare your destiny and blessings. So, you say you’re a prophet, well who affirmed your office? Who validated or sanction your ministry? What area in society are you called to govern? Are you assigned to operate in the local church, marketplace, city, state, nationally or globally? These foundational questions must be addressed in order to function effectively as God’s prophets, which will safeguard your ministry and calling for years to come. 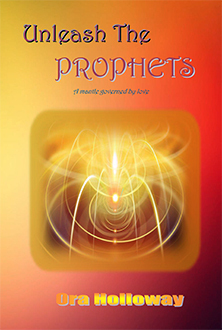 In Unleash The Prophets: A Mantle Governed By Love you will learn the steps to personal development to equip the upcoming prophets and intercessors. You will discover if affirmation of your office necessary and how to identity your assignments. This real life inspirational testimony of defeat and victory will touch and stir your heart as it reveals the author’s quest to pursue her miracle. It reveals her struggles, pain, suffering and disappointment. During the eleven years faith journey of persistent prayer, Holloway learns to trust the guiding hands of God and the power of prayer, which caused her to become victorious. 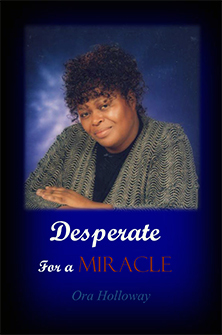 Desperate for a Miracle offers practical examples and prayer principles to build hope and faith when life throws you a curve and shatter your dreams how to get back up and start again. In spite of setbacks, you can still hope again and expect your miracle to become a reality. This step by step prayer brochure will ignite new life and fresh fire into any prayer group as it equip and empower prayer groups, ministerial leadership , prayer warriors and believers. 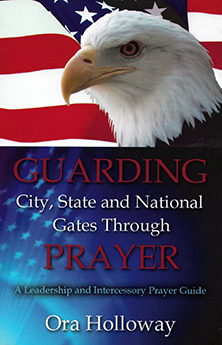 The Guarding City, State and National Gates Through Prayer Brochure teaches and encourages how to pray and intercede for city, state and national leaders. This brochure is a valuable resource based on biblical principles and step by step guidelines to maximize your prayer experiences and reposition you for kingdom mandate assignments.